The Asus UX30 is the second Consumer Ultra-Low Voltage (CULV) laptop we've seen but, unlike the Advent Altro, this machine is aimed at the top end of the market. It's one of the thinnest machines we've seen to date – measuring just 24mm at its thickest – and the design is stunning. The brushed aluminium lid gives it a premium feel and the high-end theme runs throughout. All of the plastics are high in quality and it's surprisingly tough considering the thin dimensions. It's also light – at 1.5kg – making it a great companion for the daily commute. The 13.3-inch screen is impressive, with strong colours and LED backlighting delivering high brightness levels. The 1366 x 768-pixel resolution results in crisp images, and there's easily enough space to view two documents side by side, browse the internet or watch movies in their native resolutions. It is a highly reflective panel, however, so you'll need to turn up brightness settings to get the best out of it on the road, which impacts on battery life. During our benchmarks, however, it ran for an excellent 334 minutes. With an inch of space on each side of the keyboard, the keys are smaller than many rivals, but it offers great usability nonetheless. Each key moves accurately and responsively, and decent spacing makes it easy to type at speed. Our only criticism is a relative lack of travel, although this will suit many touch typists. The touchpad is one of the largest we've seen, offering equally impressive usability. The svelte design is maintained by having all the ports hidden behind plastic flaps. 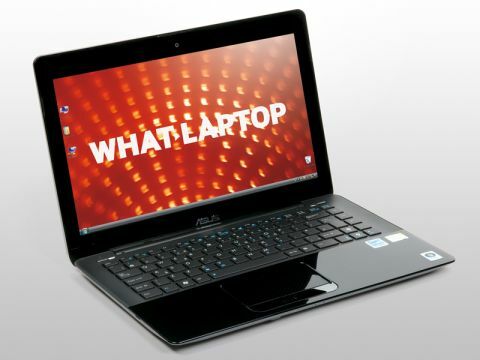 It turns out to be reasonably well equipped – aside from a lack of optical drive. Three USB ports are included, while HDMI and mini VGA ports let you connect digital HD and analogue displays. Network connections are equally comprehensive, with 802.11n Wi-Fi, Ethernet and Bluetooth included – although a mobile broadband connection is omitted. Unlike the much cheaper Advent Altro, which uses a budget Intel Celeron processor, the UX30 features a cutting edge Intel Core 2 Duo SU9400 chip. Running at 1.4GHz, it's specifically designed to be used in thin ultraportables. It's not as quick as regular Core 2 Duo processors, but its two cores allow it to multi-task efficiently, and it's further helped by 4096MB of memory. With its stunning design, usability and quality, the UX30 is easy to like. It's underpowered in comparison to rivals such as Apple's MacBook Air – although it's also cheaper – but if you're after something for the commute and place style over speed, it's worth a look.